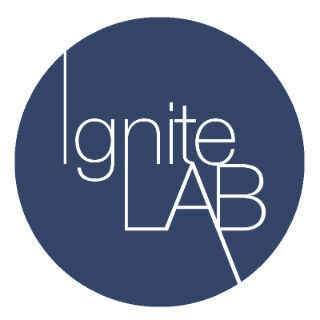 IgniteLAB is a world-class professional development program which supports students of the Melbourne Conservatorium of Music to dream and design sustainable creative careers. We understand that musicians in the 21st century are required to have a wide range of skills beyond their artistic excellence to thrive on and beyond the stage. Our IgniteLAB program supports the development of creative entrepreneurship and enterprise skills from the first day of our students' journey so that our graduates are prepared to create their own opportunities. IgniteLAB is designed to provide each student with individualised resources to help them develop and reach their own unique artistic and career goals. The program is delivered through extracurricular workshops, individual career advising and a variety of funded internship and curatorial opportunities. IgniteLAB was granted funding to create a new range of internships and initiatives designed to build graduate employability. This new project will be administered by two newly created, paid IgniteLAB Student Interns who will be mentored by Susan de Weger, Associate Lecturer in Music (Entrepreneurship) through the development, delivery and acquittal of this project. Throughout the year, any MCM student can present a case for $1,000 stipend to work as a Community Artist or Music Management Intern. Additionally, IgniteLAB will host the inaugural Chamber Challenge, a two-day business development program for existing or new chamber music ensembles. This event will support our artists to build skills to make the leap from student performers to professional ensemble with a vision, strategy and goals. This selective program will offer a maximum of 5 ensembles the opportunity to participate in workshops to build skills in strategy, branding, marketing and audience development. Groups will pitch their business model to a panel of industry experts, with the panel awarding the prize of $3,000 in funding for the ensemble to implement their strategy in 2018. Join Simone Maurer, and Jen Lang for a discussion on their own international education and journeys to their careers. Have you ever had to lead an ensemble, either to tune up, through a warm-up, or through a whole concerto? Have you ever wanted to show leadership and creative direction for an orchestra, a choir, or an ensemble? This is seriously a workshop not to miss! Ingrid will discuss how to prepare for rehearsals, alternative rehearsal techniques, active ensemble leadership, and how to run a rehearsal. Join Ingrid for a workshop on the planning and process that goes into conducting and managing an ensemble, band, or orchestra. Join Lucien Fischer, from The Consort of Melbourne, Kate Millett, from BK Opera, and Gian Slater, for a deep dive into life after your education as a vocalist. Navigating and balancing a creative career and commitments whilst maintaining a healthy and positive outlook on the future. Join Collaborative Pianist David Barnard for a discussion on how to forge a career as a pianist, as a collaborator and as a soloist. Join Susan de Weger for a session on how to write a bio and craft a resume to ensure your creativity comes first in your career as you hunt for jobs and opportunities. Every MCM student has access to free career advising with Susan de Weger, Associate Lecturer in Music (Entrepreneurship). These individual advising sessions can cover any career-related topic from bio writing and resumes, creating an artist website, starting a private teaching studio, applying for grants, scholarships or further study, applying for teaching or music management roles, career direction and artistic goals. Each year the IgniteLAB Creativity Fund supports enterprising students to bring their innovative program ideas to life. This year $17,500 was granted to projects ranging from collaborative multi-disciplinary performances to podcasts exploring the stories of iconic Melbourne street performers. Students are coached through every step of the grant process, from first draft to pitch, project delivery and acquittal by the IgniteLAB team. Visit the IgniteLab Facebook page for current event details.